Having ACT researchers find that nationally normed data are important to district administrators, school principals, and classroom teachers is hardly “stop the presses” news – but dig into several recent ACT research reports and there’s a deeper truth to be found [Link to study]. For principals, 85 percent found them useful or very useful. For teachers, about 65 percent said they were useful or very useful. You don’t need to be a data scientist to detect a pattern: the more elevated your perspective the more you appreciated the data, and the closer you are to students the less useful the data were perceived to be. Teachers still found the data useful by a 2:1 majority, but not by the 9:1 of administrative users. Interestingly, when teachers reflected on their own teaching practices — the most common use – they also used data in the same way a superintendent might: to answer the question, am I being successful? That’s an important question, and its answer provides an essential external perspective for teachers who spend the vast majority of their time with a single group of a students. Unfortunately, as teachers’ needs become more student-specific the normed data are perceived as less useful. That needs to change – and the resolution doesn’t rest solely with the teachers. For example, whenever there’s a lag between when an assessment is given and its results are returned, the data become less useful. If a test is given on March 1 and teachers receive the results days, weeks, or months later, that’s less useful than giving a test at 9 a.m. and receiving the results at noon. At ACT, we understand that, and are moving more of our assessments online so that rapid feedback is possible. 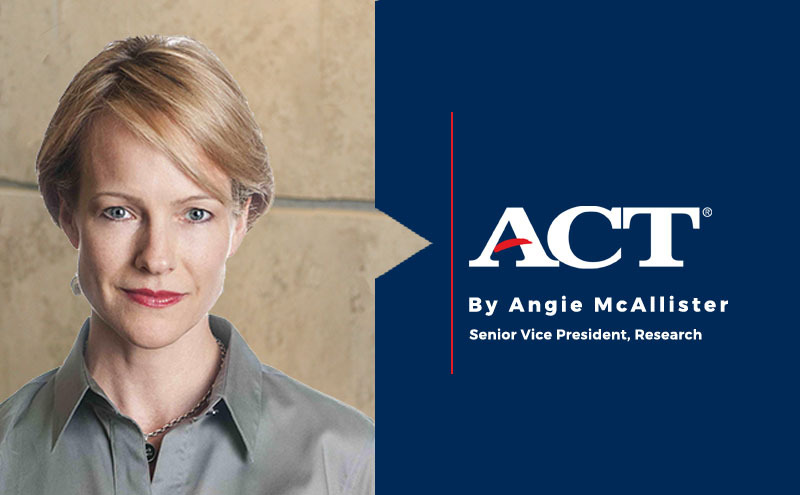 Already, assessments such as ACT Aspire and ACT WorkKeys are available online, and the ACT test will be delivered online at our international test centers starting this fall. Ultimately, the goal is for valid, reliable data to inform teaching and enhance understanding. Already, 65 percent of teachers find nationally normed data useful, but if data were consistently used hand-in-glove with real-time instruction, data use by teachers could eclipse the 91 percent of administrators who rely on data to do their jobs. Thinking back to the original question posed in this piece – are nationally normed data useful? – using sound data to enhance great teaching is an outcome every educator at every level should find “useful” or “very useful” for years to come.